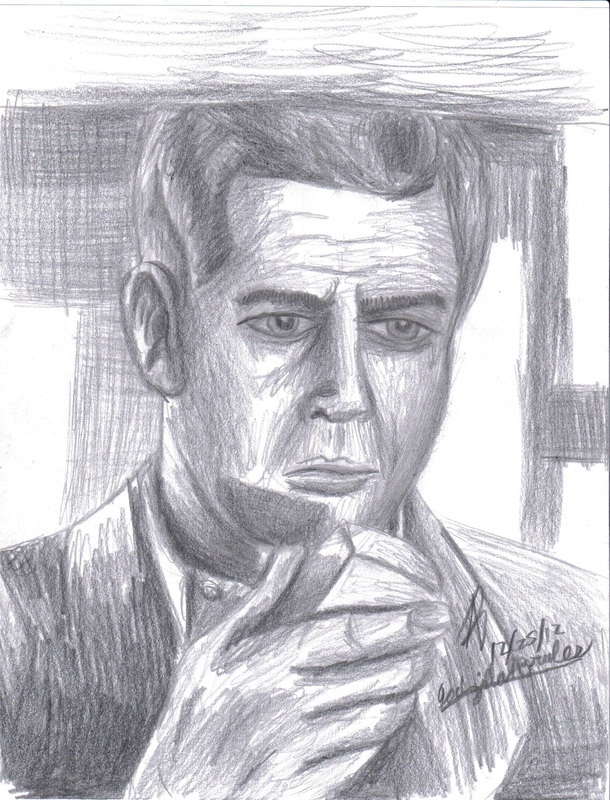 I tried again with a portrait of well-known American actor Raymond Burr. Like before, I didn't use measurements when drawing this. Sadly, unlike my previous attempt, this one had several problems going on in it.